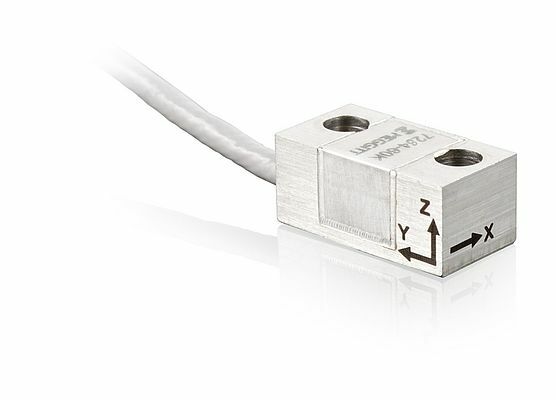 Meggitt Sensing Systems has introduced the Endevco model 7284 series, a family of lightly damped, high-g, triaxial, piezoresistive shock accelerometers. These rugged sensors, available in 20,000 g and 60,000 g ranges, offer high survivability and low power consumption. The series is the triaxial version of the single-axis 7280A series. It shares the same footprint, bolt pattern and highly survivable sensing system, while making high-g shock measurements across three mutually perpendicular axes. And, with a frequency response extending down to dc (steady state), the sensor can measure long duration transient shocks. The robust design incorporates three sensors mounted in a triaxial arrangement within a single housing. Each axis features a unique piezoresistive MEMS sensor with light gas damping to attenuate resonant amplitudes and prevent breakage in overload conditions. Because units are only lightly damped, they still accurately respond to fast rise times and short duration shock motion.